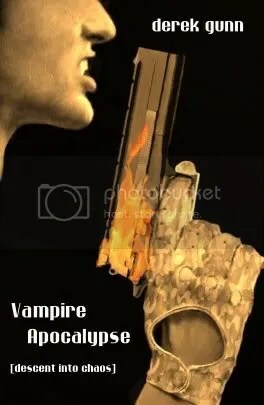 The second book in the Vampire Apocalypse trilogy from Irish author Derek Gunn, has been released by KHP Industries under their Black Death Books imprint. Descent into Chaos follows A World Torn Asunder, Derek’s debut novel (September 2006) which was widely praised on both sides of the Atlantic and is in development as a movie (Richard Finney, Robert Lawrence). Both books are widely available from online booksellers and (or can be ordered from) high street book stores. Sample chapters from both books are available at the author’s website.